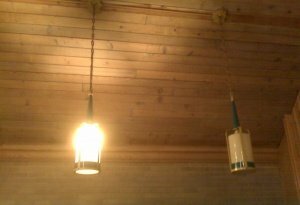 Refurbished (circa 1957) lighting fixtures – 8 large lanterns, 4 small lanterns, and 6 surface mounted fixtures. 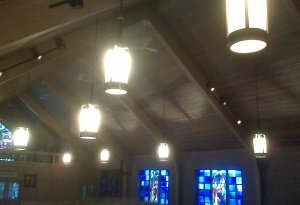 Rewired and modified with a new lighting layout with new acrylic. 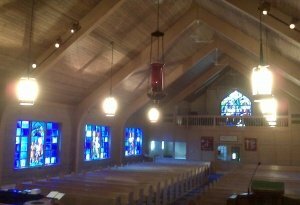 Replaced the incandescent bulbs with compact fluorescent lamps and halogen lamps which greatly increased the general overall lighting at the same time decreasing the amount of electricity used resulting in significant savings for the church. Provided our electrician to do the work.